You wouldn’t have to have followed my blog for long to know that flowers make me so happy. Every time I look at them, I just want to smile. 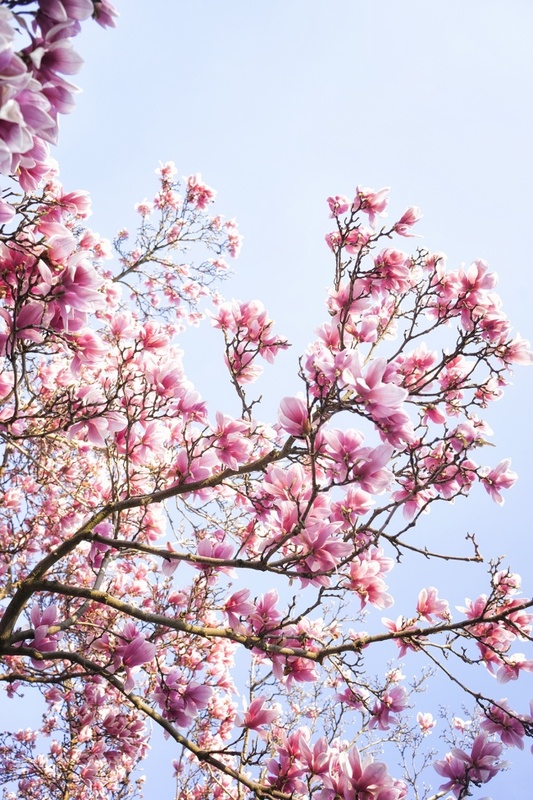 So it made me so sad to hear that we were going to have a cold front and all these saucer magnolias were going to go away. They were barely around for a week. I’m grateful that I was able to enjoy them at least once this year. I love the mood the pedals all over the park bench and grass is providing. Sort of sad but still amazingly beautiful that I had to photograph it. The cherry blossoms are a different story though. They may not even get the chance to bloom! Thanks to winter storm Stella we’re expecting 5+ inches and the cherry blossoms are not happy about it. I really really look forward to the blooms at the tidal basin each year so I guess it’s not happening this time around. I feel bad for anyone who has made special travel plans just to see them. And yes, my dog has an instagram account. If you want to follow him it’s instagram.com/frankensteinwoopan. Hes the cutest. This image was taken last year behind the Smithsonian Castle. I feel like that little area of the city is my own secret garden. I can go there in the morning and there will hardly be anyone else there. They seriously have some of the most gorgeous blooms in the city. 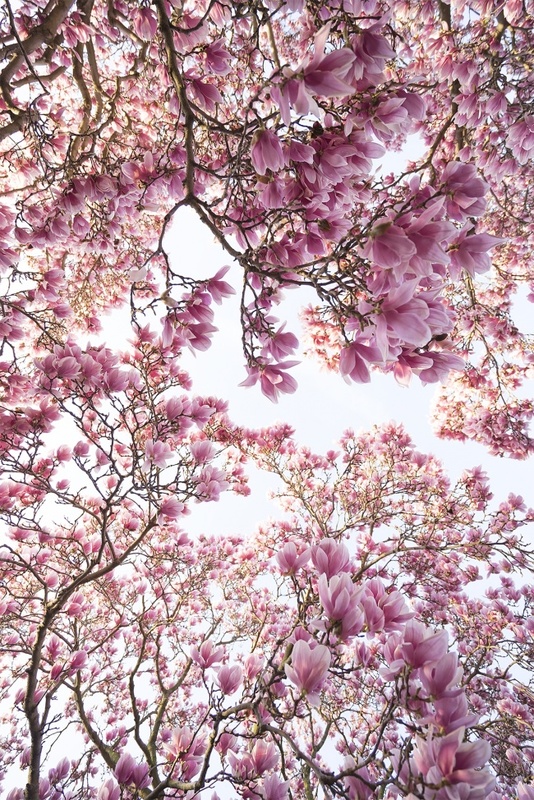 These pink magnolias trees are some of my favorites. They’re all lined up in against this path way that goes right down the middle of the garden and they are just so stunning when you see them in person. Its also very beautiful when all the petals have fallen on the ground. Seeing the ombre effects on the pedals all spread out, it’s like you’re walking on sunshine. Cue that beautiful 80s music video. 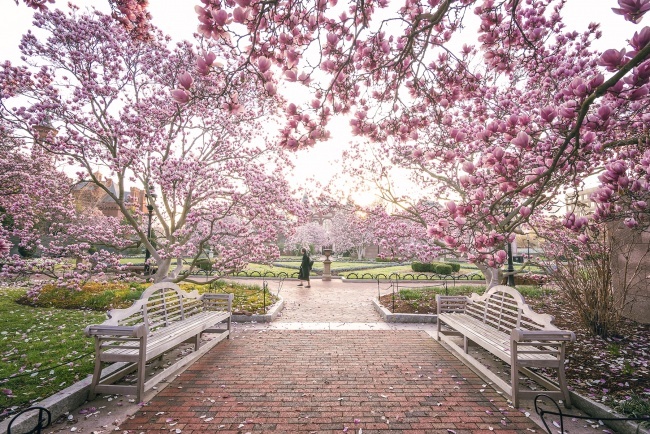 If you want to visit the Smithsonian Gardens you will also find much more behind the Castle than just the Magnolia trees. They have tulips, roses, and cherry blossom trees. Although my personal preference is to shoot the cherry blossom trees by the Tidal Basin and Washington Monument. I love photographing those flowers against memorials. Theres something about the dainty flowers against the marble stone that’s just so beautiful to me. If I weren’t the one who was taking this picture, I’d be jealous of the woman walking through it. 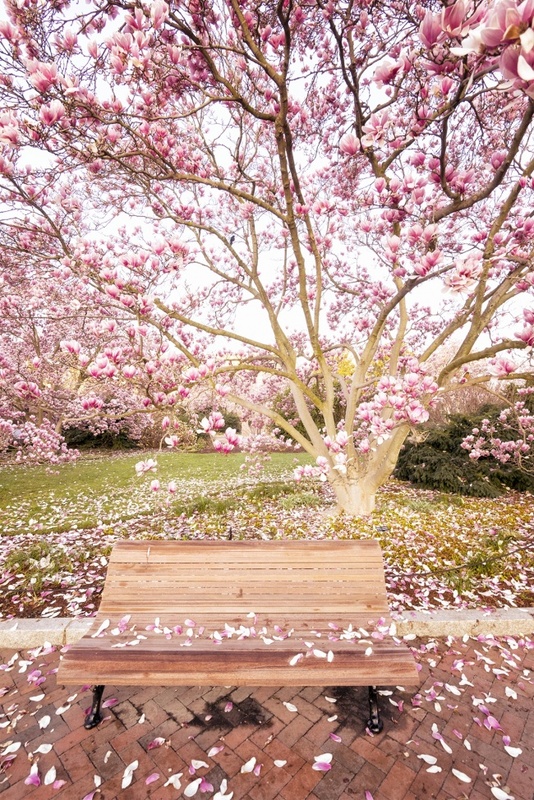 It looks like this magical place where magnolia flowers just follow you everywhere. Oh man, if only a place like that existed. I think I’d lay down and make a snow angel out of flower petals. Had a great weekend with friends and family, so I’m feelin’ the spring happy vibes today. Also just finished watching the first season of Bloodline on Netflix. Have you guys seen it? Such a great show with so much mystery. I can’t wait to start the second season this week. It’s really all I thought about this past weekend.